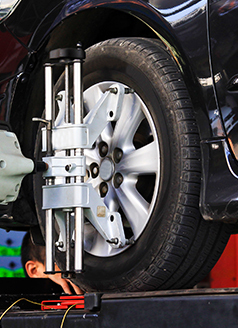 We will check your vehicles alignment and advise if adjustments are needed to meet factory specifications. Adjustments start at just $69.95 plus tax and shop fees. Must present, mention, or show coupon before service is performed. Due @ 5,000/ 10,000/ 35000/ 55000/ 110000/ 115000 Miles. Strapped for time? Use our Door to Door Concierge service. Service includes: Change engine oil, replace oil filter, rotate tires, inspect brake linings, perform multi-point inspection, & exterior wash.
See service advisor for details. Upgrade to full synthetic for $15 more. Includes up to 6 quarts, additional oil extra. Price plus tax, shop supplies & disposal fee. Diesels extra. Due @ 15,000/ 45,000/ 105,000/ Miles. See service advisor for details. Upgrade to full synthetic for $15 more. Includes up to 6 quarts, additional oil extra. Price plus tax, shop supplies & disposal fee.Diesels extra. Service includes: Change engine oil, replace oil filter, rotate tires, inspect brake linings, perform multi-point inspection, & exterior wash. Plus balance tires, 4-wheel alignment, 3 part battery post service. Service includes: Change engine oil, replace oil filter, rotate tires, inspect brake linings, perform multi-point inspection, & exterior wash. Plus wiper blades, 4-wheel brake service, air filter, & Wynn's fuel system cleaner. Due @ 40,000/ 80,000 Miles. Service includes: Change engine oil, replace oil filter, rotate tires, inspect brake linings, perform multi-point inspection, & exterior wash. Plus Cabin filter & Wynn's brake fluid exchange. Service includes: Change engine oil, replace oil filter, rotate tires, inspect brake linings, perform multi-point inspection, & exterior wash. Plus Balance tires, 4-wheel alignment, 3 part battery post service, Wynn's fuel induction service. Service includes: Change engine oil, replace oil filter, rotate tires, inspect brake linings, perform multi-point inspection, & exterior wash. Plus wiper blades, 4-wheel brake service, Engine air filter, Cabin air filter, & Wynn's fuel system cleaner. Service includes: Change engine oil, replace oil filter, rotate tires, inspect brake linings, perform multi-point inspection, & exterior wash. Plus Wiper blades, 4-Wheel brake service, 4-Wheel alignment, Tire balance, 3 part battery post service. Service includes: Change engine oil, replace oil filter, rotate tires, inspect brake linings, perform multi-point inspection, & exterior wash. Plus Air filter, Wynn's coolant service, & 4 Wheel brake service. See service advisor for details. Upgrade to full synthetic for $15 more. Price plus tax & disposal fee.Diesels extra. Service includes: Change engine oil, replace oil filter, rotate tires, inspect brake linings, perform multi-point inspection, & exterior wash. Plus Balance tires, 3 part battery post service, 4-Wheel alignment, Cabin air filter, Wynn's fuel induction service, & Tune Up. Price may vary for some models. Ask your service advisor for pricing. See service advisor for details. Upgrade to full synthetic for $15 more. Price plus tax & disposal fee. Diesels extra.